We are here to make you extreme again. 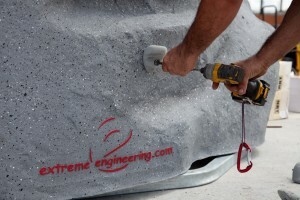 (916) 663-1560 x221 or via email at info@extremeengineering.com. Attached are the frequently asked questions. The attachment goes over commonly asked questions in regards to mobile and stationary climbing walls, jumper systems, and other adventure products. If you don’t find your answers here, please contact us at info@extremeengineering.com. Get caught up on how to operate.